This is probably our Newest and Hottest UPDATE. After long time, we have solved problem with steady and reliable supply of excellent and well known models designed by 12 times F3A Italian Champion Sebastiano Silvestri. In next few weeks you can expect NEW Models, Full line of Spare Parts and some excellent package DEALS. 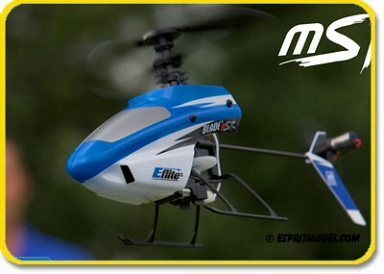 When it comes to single-rotor ultra-micro heli excitement you can fly almost anywhere, the Blade mSR simply cannot be beat. Under one ounce (25g), the nimble Blade mSR takes ultra-micro helicopter performance to the next level. It comes from the factory completely assembled and flight tested with everything you need to get flying. At the heart of the Blade mSR's design is a Bell-Hiller rotor head that provides the kind of speed and agility you would expect of a single-rotor helicopter but maintains a measure of positive stability similar to a co-axial helis. 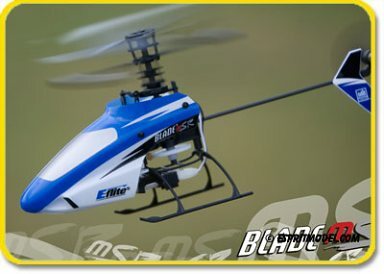 This blend of agility and stability makes it the ideal "next step" for someone moving up from a coaxial heli, such as the Blade CX3 or Blade mCX.